We ventured into the land of Don Quixote, the region of Castilla-La Mancha! 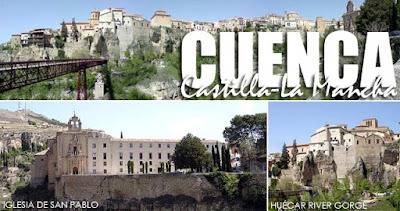 We were off to the city of Cuenca, Spain a UNESCO World Heritage Site. Built in between two gorges, this fortress city is perfectly integrated into the marvelous natural landscape around it. 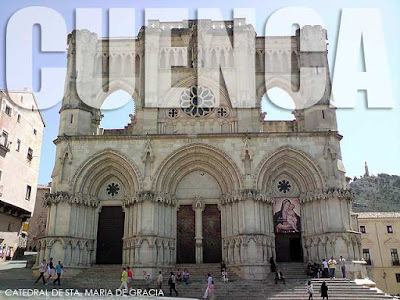 Thus, the character of Cuenca is dictated by this breathtaking harmony between architecture and nature. The trip from Valencia was close to three hours. Be prepared for a lot of walking up and down the narrow roads of this fortress town. 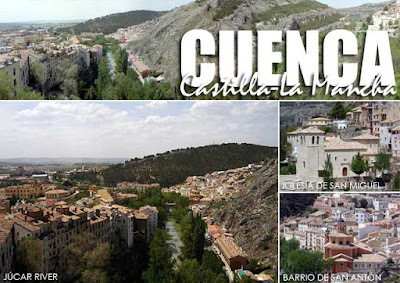 Cuenca is actually divided into two areas, the low quarter which is the modern area that sprung up in the 19th Century. And the medieval city located on top of the rugged promontory between the Huécar and Júcar Rivers. 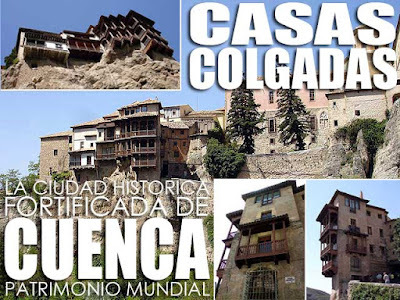 We started our walking tour at the Huécar River Gorge which offers dramatic views of the Convento de San Pablo and the Casas Colgadas, the hanging houses which Cuenca has become known for. There are accounts which say the houses have Muslim roots. Others say that they date back to the medieval period. We got to cross the San Pablo Bridge built high on top of the gorge, linking the convento to the rest of Cuenca. 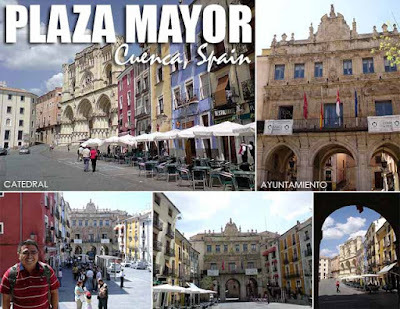 In the center of town is the Plaza Mayor, the town square which is actually a triangle bounded by the Catedral, Convento de Las Petras, and the Ayuntamiento. The current ayuntamiento dates back to the 18th Century and was designed by Jaime Bort in 1733. What is unique about the design is that it isolates the plaza and yet makes it accessible with the incorporation of three arches at the base. The Catedral de Santa Maria de Gracia is an exquisite example of early Cuencan Gothic architecture. Construction began at the end of the 12th Century and was completed in 1271. Just like the cathedral in Valencia though, there was a fee to enter (3€ per person). 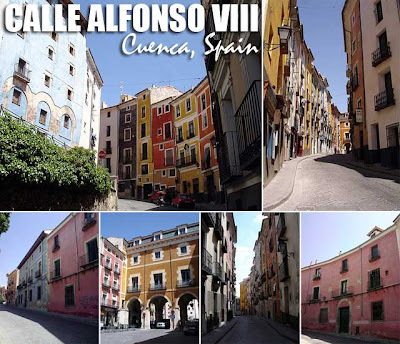 We walked down Calle Alfonso VIII, enjoying its colorful row of buildings, on the way to the restaurants in the lower part of Cuenca. For lunch, I tried the grilled lamb chops; they say the lamb chops in Cuenca are the best. I spent 6€ for it but I wasn't satisfied with the serving size and it had a lot of fat! Maybe it wasn't the right restaurant for it. After lunch, we made one last trek up the old city, this time to the Júcar River side where we were treated to a stunning view of the low quarter of Cuenca.